In an attempt to reduce fragmentation of its Android OS, Google is requiring developers of new and updated apps to comply with its most recent APIs. While certainly not a panacea for its Android fragmentation issue, Google is planning to force Android developers to use newer app code in order for their apps to be accepted in its Play Store. In a blog post this week, Google stated that it will make three changes to the Google Play Store, beginning next year with requiring developers to target more recent Android API levels for new and updated apps. In early 2018, the Play Store will also begin adding a small amount of security metadata on top of each Android Application Package (APK) to further verify app authenticity. 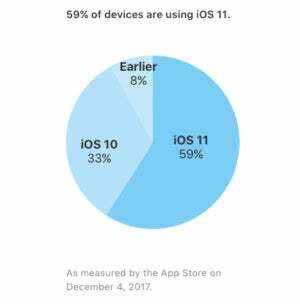 Unlike Apple, which has strict application policies for its App Store, Google has been far more lenient as to what developers can upload to its Play Store. The new policies will change that to a degree. Jack Gold, principal analyst J. Gold Associates, said the move is good for Google, but it's also positive for end users. Users of older Android devices who try to download apps often find they won't run, as they are targeted at a newer Android version. Conversely, some new device owners try to download apps that were built for devices one, two or more generations old and also find they don't work, or they don't work very well. "So, it accomplishes both more stringent conformance to Android versions/APIs, as well as providing a way for users to distinguish old vs. new apps," Gold said. 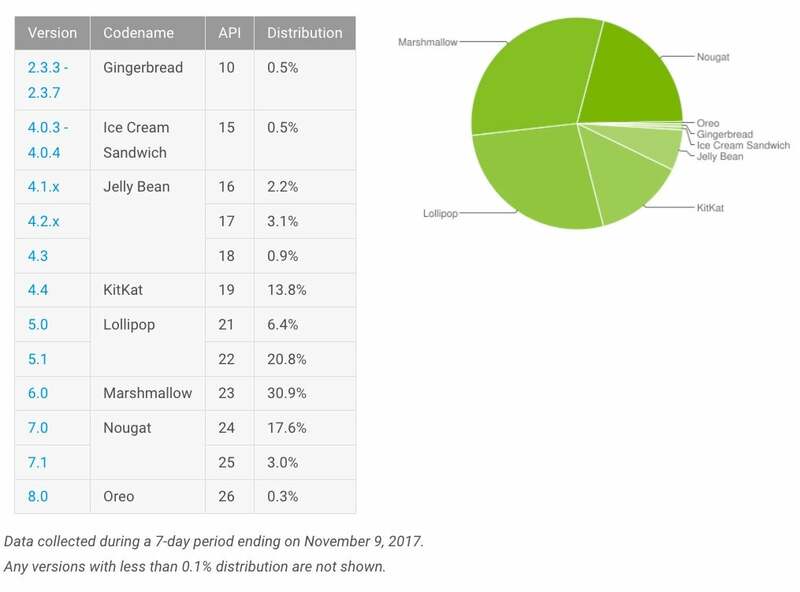 Android OS adoption rates as of Nov. 9. The rules change also gives users who own older devices and want newer apps an incentive to upgrade, since the apps may not run on their current models. "This is very frustrating to users and a major headache for Google... and a challenge for corporate IT," Gold said, explaining that there are a large number of older, not fully compatible devices running various versions of Android. "Requiring new apps to be in compliance with a certain level of API is an attempt to eliminate the above scenarios," Gold said. "It's also a way to segment apps in the Play Store and give users a better understanding of current versus outdated, or at least older, apps." 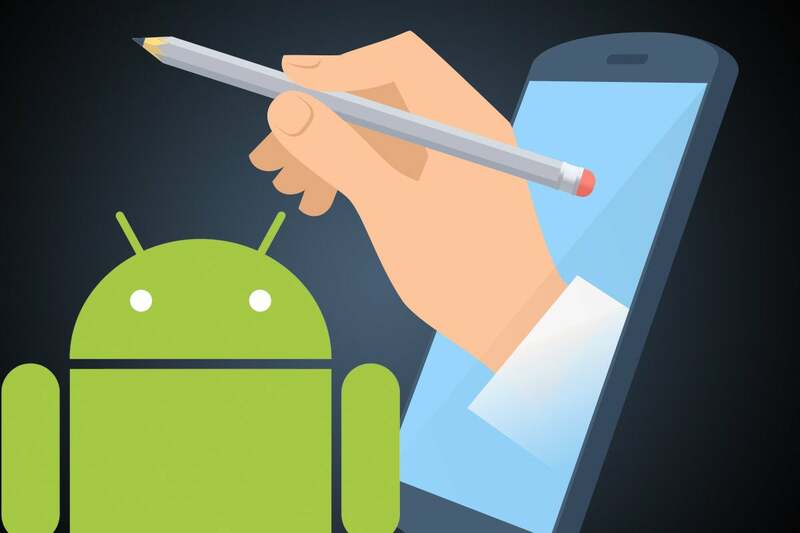 Lastly, Google's change to its Play Store rules puts handset vendors on notice that they have to be in compliance with the APIs if they decide to do a customized version of Android for their particular device. In August 2019, Google Play will also require that new apps and app updates with native libraries provide 64-bit versions in addition to their 32-bit versions. August 2018: New apps required to target API level 26 (Android 8.0) or higher. November 2018: Updates to existing apps required to target API level 26 or higher. 2019 onwards: Each year the targetSdkVersion requirement will advance. Within one year following each major Android release, new apps and app updates will need to target the corresponding API level or higher. The Play Store rules update, however, will not fix the longstanding issue of OS fragmentation created by wireless carriers who control when and how upgrades are pushed out. "Carriers typically do not allow OS upgrades until they are fully tested and vetted by the carrier. Many devices, even though theoretically possible to upgrade, never get an upgrade because the carriers don't approve it," Gold said. "So Google's hands may be tied on this."